We at Tri-County Cremation& Funeral Home offers a quality personalized service that is completely independent of corporation, Wall Street conglomerates. Licensed and regulated by the State, we take great pride in offering around-the-clock service. It is our hope that you feel comfortable allowing us not to lead you down this difficult path, but rather walk by your side to show you the way. • Medical Examiner’s fee included. 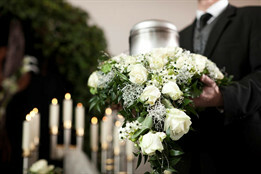 • Includes a temporary urn . • We charge $10.00 for each Death Certificate in Central Florida.